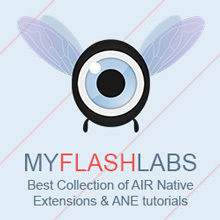 AIRKinect Extension is a Native Extension for use with Adobe AIR 3.0+ on windows and OSX. It allows AIR developers to tap into the rich experience of the Microsoft Kinect and push interactivity to a new level. The AIRKinect extension provides Flash developers all the same information and configuration as with the Kinect SDK provided by Microsoft. Air Native Extension, Mac, Windows. URL.